Man with a van vs Removal Company - which option is best for moving day? When it comes to the process of moving house, there are three options available to movers. Firstly, you can choose to go it alone, do all the packing yourself and move your belongings in your own car or a hired van (which will probably involve several trips back and forward between properties). Secondly, you may choose to get a little extra help from a man with a van, who will mainly assist with transporting your belongings for you. Or thirdly, if you'd prefer for the experts to take control and make the process as stress free as possible then you may want to look at hiring a removal company instead. If the second or third options mentioned above sound of interest to you for your upcoming move but you aren't sure which one is best for you, then we're here to help! Read on to find out more about the differences between hiring a man with a van and a removal company to help you make up your mind. With a man with a van service, it is unlikely that they will have a vast experience of large scale moves and the work that is involved with them. They will probably be more used to helping people move a couple of items between locations, and may therefore be better suited to small scale moves e.g. moving out of student accommodation or a room in a shared house. In addition, they may not have insurance, which means that any damage to your possessions wouldn't be covered, which is certainly an important factor to keep in mind. 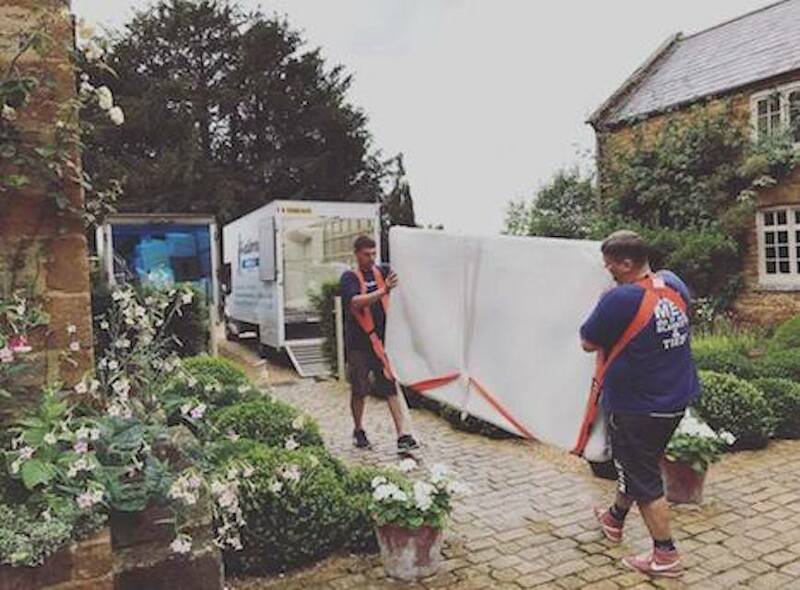 By using a removal company, you can be rest assured that they will have vast experience of all sizes of moves, from one bed flats to five bed houses, and that their staff will also have undertaken training and qualifications too. Therefore, you can have peace of mind that your belongings are in the hands of the experts who will use their knowledge and experience to treat them with the upmost care. Most importantly, you'll know that they will also be fully insured in the case of any damage - what a relief! If you decide to book a man with a van, you are getting just that - someone to help carry a few boxes into their van for you, and then drive them to your new property. It is unlikely that they will offer any additional services such as packing, and you will probably be expected to help them to move the majority of boxes too if they are just a one man band. On the other hand, a removal company will offer a full, comprehensive service that removes all of the stress on moving day. They will take care of all of the hard work in terms of moving your belongings, and will have multiple team members available to move everything for you. They will also be able to help you with packing and dismantling/reassembling furniture if needed. Most people choose to use a man with a van because of the cost. It's no lie that this type of service is usually cheaper than using a fully qualified removal company - but you should be aware that you may not get the quality of service that you actually require. With a removal company, the cost that you pay reflects the experience that the team has, and also the professional service that you will receive. Sometimes in life there are things that are worth paying that little bit extra for - and when it comes to the safe moving of your precious possessions, we think this is a prime example! When it comes to moving, at Gentlevan Removals we're here to help! We will try to make your move go as smoothly as we can, so why not let our highly experienced team of removal experts do the job for you? To find out more about our moving service, contact us for a quote today!